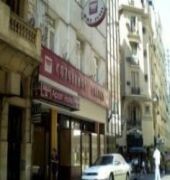 The Catalinas Suites has an enviable location at the very heart of downtown Buenos Aires. 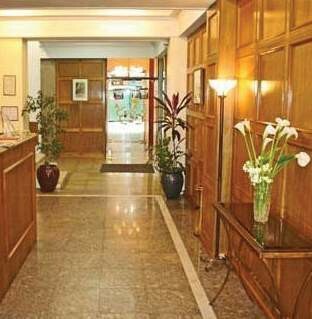 The hotel lies within walking distance from the Obelisk, Plaza de Mayo and many other popular tourist attractions. It features 80 recently-renovated rooms with a full range of modern trimmings such as free wireless Internet. 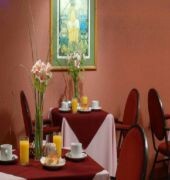 A complimentary buffet breakfast is served daily in the hotel's breakfast lounge. The Catalinas Suites has a 24-hour reception desk with dedicated bilingual staff that helps with sightseeing suggestions and directions.The Catalinas Suites houses 80 well-appointed and functional guest rooms with a pleasing look and feel. Rooms come in various configurations and sizes. All units are equipped with free high-speed wireless Internet access as well as mini-bar and satellite TV. Other trappings include air conditioning and safe deposit boxes. 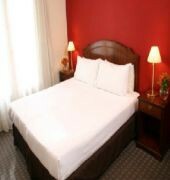 The recently-renovated rooms at the Catalinas Suites are an affordable option in downtown Buenos Aires.